UC Riverside has climbed up the list of the top 30 state universities by post-graduation salary potential. Payscale, a compensation data research company, has placed UC Riverside as the 29th top public institution in which graduates earn the highest annual income. The annual salary figures are based on surveys of full-time employees who hold a bachelor’s degree. 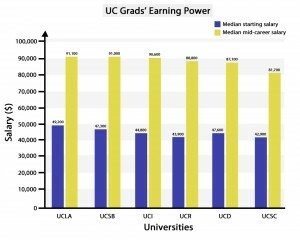 The study measures data from graduates who have less than two years of work experience and those in their mid-career with 15 years of experience.According to Payscale’s data for 2011-12, the median starting salary for recent UC Riverside graduates is $43,900, whereas the median mid-career salary is $88,800. 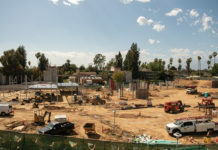 UC Riverside has advanced 10 spots up the chart since 2010-11, when the median starting salary for Highlander graduates was $42,700 and $88,500 at mid-career. Merlyn Campos, the director of admissions at UC Riverside, believes that UC Riverside offers the finest academic preparation for graduates seeking a place in the job market. “It has been exciting to watch UC Riverside climb in national and international rankings in a variety of categories,” said Campos in an interview with the Highlander. “We’re particularly proud of this ranking because it shows the esteem with which our graduates are held in the professional world. It’s also a great indication of the quality education that our students receive. 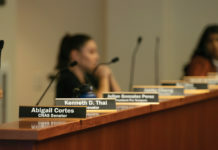 Thanks to our world-class faculty, excellent facilities and an academic climate that encourages both innovative thinking and real world problem solving, UC Riverside graduates enter the professional world prepared to compete, contribute, and succeed.” This is made possible by the three colleges at UC Riverside and the School of Business Administration. The campus offers over 88 majors and 56 minors for undergraduates, while boasting over 350 student organizations and over 40 registered fraternities and sororities. UC Riverside alumnus Gabe Baldovino attests to the growing strengths of the university, stating, “The education and support I received during my undergraduate career at UCR really paved the way for my future. Despite not having related work experience, the academics and my involvement in a fraternity allowed me to eclipse over several candidates and land the job that I wanted.” Baldovino graduated in 2010 as a sociology major and a member of the Alpha Phi Omega fraternity, and currently works in a legal services firm. 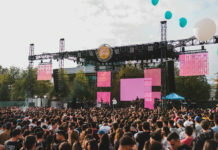 Seven other UC campuses also made the list, including UC Berkeley, UC San Diego, UC Los Angeles, UC Santa Barbara, UC Irvine, UC Davis and UC Santa Cruz. UC Berkeley and UC San Diego placed in the top 10 list, ranking fifth and eighth, respectively. The median starting salary for UC Berkeley graduates is $51,400 and $102,000 in mid-career. UC San Diego graduates’ median starting salary is $48,200 and $96,700 at mid-career. The State University of New York Maritime College led the rankings with new graduates earning a median of $57,300 and mid-career graduates pocketing an annual salary of $109,000.